The Bistro features floor to ceiling wall to wall glass windows, beautiful, Italian-style columns, and a fully stocked bar. Enjoy a beautiful panoramic view of our well-manicured Golf Course, Lake Siena, surrounding Mountains, and the Las Vegas Strip. Attached to the Bistro is a private Terrace featuring a warming, stone fireplace and relaxing ambiance. 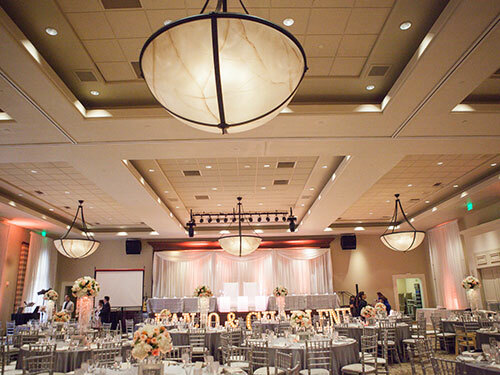 With extensive arched hallways, Tuscan-themed architecture, spectacular views of cascading waterfalls, and lush landscapes the Grand Ballroom is the perfect location for larger receptions and gatherings. 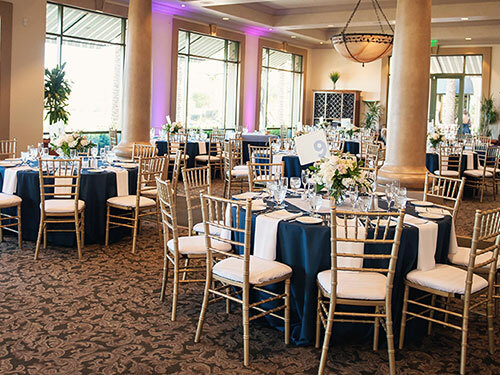 For more intimate events, the Bistro can be separated into two spaces, creating the Tuscany Room (back half of our restaurant) with access to the Terrace. 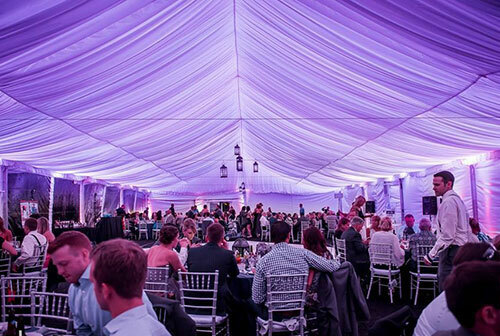 Guests are additionally welcome to rent tents for an exclusive outdoor reception on our driving range area. Accommodation capacity is up to 300 guests. 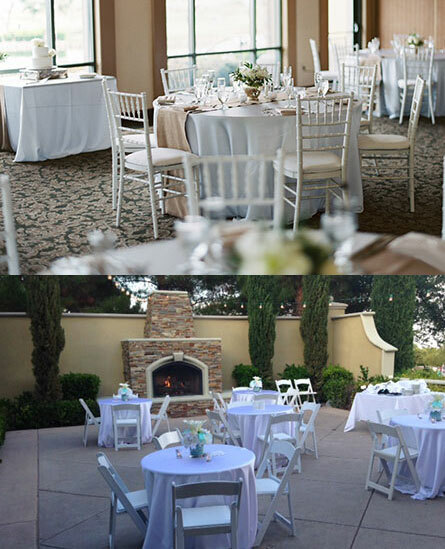 Contact our Director of Catering directly to customize your space to be the perfect location for your dream event.